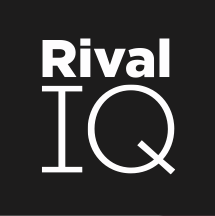 Each company in Rival IQ has a profile that contains a breadth of information about that company including bios, social posts, and alerts. How do I find all of the details for a company in my landscape? View the company summary by going to Companies and clicking the company’s name. Here you’ll find overview information on that company for all of the channel data we have in Rival IQ plus web site, SEO, and SEM information. In addition, use the Social Content report to export company posts by service by date; or use the Web Pages report to review visual page changes; or use the Alert Feed to review recent alerts for this company. Here's an example of the social content you'll see. Use this page to view or export content by company by date - the Top Content and other reports don't have this export by date sort. The Export menu on this page enables you to download a PDF or email a PowerPoint report for this single company.